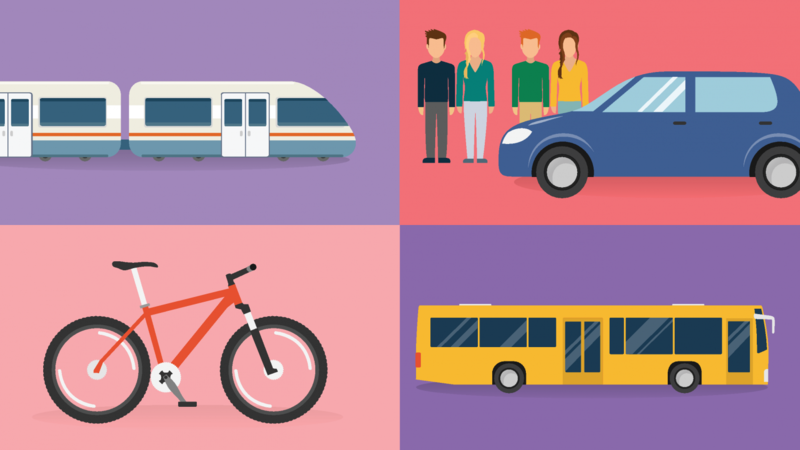 What is commute trip reduction software and how can it help you? Commute trip reduction (CTR) has emerged as a focused sub-topic within Smart City and Smart Mobility initiatives. Also known as “employee trip reduction” and “vehicle trip reduction,” the concept is built on providing employees with incentives and support programs designed to reduce the number of solo-driving commutes. Commute trip reduction software has become a vitally important resource for organizations that want to provide and incentivize smart mobility, using emerging technology to create maximum impact. Taking a look at the list of the most commonly used CTR programs and strategies, it’s easy to see the value of using specialized software to manage these programs. Parking cash-out programs, transit allowances, carpool matching, guaranteed ride home programs, and point-based commuter incentive programs are all a major part of the commute trip reduction landscape. In each case, effective programs require advanced tools to track and manage the use and distribution of rewards and incentives. Program administrators also need to give commuters an easy way to log their trips to prove eligibility, all while generating targeted, data-driven insights into their employees’ changing behaviors. The RideAmigos suite of CTR software tools and programs provides these and many other essential functionalities, giving transportation program managers the power to easily create, promote, manage, and administer commuter initiatives that have real impact. Our market-leading commute trip reduction software makes it easy to implement effective programs. Incentives and Challenges: Offer exciting in-house competitions alongside ongoing rewards like commuter stores to provide proven motivation and create higher rates of behavior change. Rideshare matching: Help employees connect with co-workers and colleagues with whom they can share rides. Commuter trip planning: Arm commuters with detailed information on how they can make better use of mobility alternatives like transit, bikeshares, e-scooters, and more. Network creation and reporting tools: Program managers can connect commuters through secure private networks, all while accessing a comprehensive set of reporting and visualization tools. Data analysis tools: Track program progress so you can see what’s working, what needs improvement, and which initiatives are having the greatest amount of positive impact. The RideAmigos platform also integrates mobility aggregation features that combine all these capabilities via a powerful, user-friendly interface. If you’d like to learn more about our revolutionary commuter management platform and programs, we’d be happy to help you get started today.